Hello, my name is Christopher T Nolan Jr. I was born and raised in Long Island, NY and in 1996 I joined the US Marine Corps. While on active duty I served as a Security Force Specialist and then a Combat Instructor. Shortly after that I joined the US Capitol Police and Marine Reserves. After a total of 15 years of service I realized there was a better way for me to help people. It was then that I decided to start my career in Real Estate. I started as an independent real estate agent, working with and learning from some of the top local agents. After learning the ins-and-outs of real estate I was able to help my clients with one of largest purchases of their lives. I decided to take it to the next level and in early 2016 The Nolan Group was formed. With the help of my team, we were able to become a more cohesive, highly efficient team equipped with the latest technology and training to make buying or selling your home an easy and enjoyable experience for the whole family. We will continue to grow and provide the best possible experience for buyers and sellers as we advance into the years ahead. Together we all look forward to serving you and your family and making you part of our family. I am a full time Real Estate Agent proudly associated with Re/max One. I have lived in Maryland my entire life and serve everyone from Montgomery County to St. Mary's County! My commitment to all family, friends, and clients is to go above and beyond all expectations of a Realtor! Working in the real estate industry since 2006 has given me a wealth of experience in many different aspects of real estate! From Foreclosures to New Construction and everything in-between I am here for you! I have 3 wonderful children, am an active member of my church and strive to help improve my community! I believe in shooting for the stars, while helping others achieve their goals of home ownership! Whether you are looking to buy, sell or rent, Brittany is the "Key To Your Next Home!" Brittany started her career in real estate by working for a real estate marketing company. After working in this field for 7 years, she decided to obtain her real estate license so that she could work directly with clients in the home buying and selling process. Although Brittany has focused her practice in Anne Arundel and Calvert Counties, she has successfully represented clients in all of Central and Southern Maryland and is looking forward to serving clients throughout the RE/MAX One marketing area. Brittany is full-time Realtor who understands what it takes to be a true real estate professional. She is a member of the Southern Maryland Association of Realtors, the Maryland Association of Realtors, and the National Association of Realtors. She is committed to putting all of her experience, training and knowledge to work for each and every one of her clients. Seeing the excitement of her clients after the completion of a successful real estate transaction is what she works for! Brittany was born and raised in Maryland and knows this area extremely well. She has lived in Upper Marlboro, Huntingtown and has resided in Annapolis for the past 6 years. She is involved in and gives back to her community through her volunteer work for the Anne Arundel County Public Schools, her son's football and baseball teams and by her numerous sponsorships of local events. 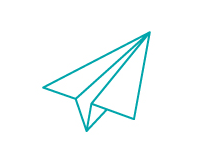 Brittany's promise to all of her clients is that she will provide them with outstanding customer service, will act as a true professional at all times, and will make efficient and effective use of the most up to date technology and marketing programs to achieve the results her clients desire. And, her motto is: "Buying or selling your home is a serious commitment; but, there is no reason why it should not be fun!" Justin is a big believer in the “Golden Rule” and has been guided by this maxim throughout his career. Justin has always worked in sales, but he is not motived to get the sale at any cost. Instead, he finds success by helping his customers find the perfect fit. He is both caring and protective and knows how to safeguard the interests of his clients. Justin is honest, hard-working and professional but he also works to make each client feel like they have a friend in their corner. He has a gift for relating with people and believes that understanding his clients is the first step to helping them be happy with the outcome of their buying or selling experience. Naturally positive, Justin focuses every day on spreading happiness to others. He is energized by building relationships and getting to see people make progress in their lives. Buying a home is a big deal. He wants each client to have a home they want to come home to at the end of each day. Justin was born in Baltimore but has lived for most of his life in Calvert County. He lives in Huntingtown, MD with his wife, son and they are expecting another child this fall. He has built lifelong friendships and belongs to a tight-knit community that is a perfect fit for his family. He loves that in Calvert you can get space of your own, but still have easy access to shops, dining, and the beach. Justin works primarily out of our Prince Frederick office. My personal experiences within real estate as a buyer, seller & property manager prove to be an incredible resource for all types of clients. My network is extensive & I have the top resources available for my clients that can save them both time and money. Providing each Buyer client and Seller client knowledge of the market, strong negotiating skills and experience. Building a business on the classic values of honesty, integrity, hard work and customer service. Native of Southern Maryland and consistently delivering RESULTS in every price range...one family at a time! I was born on Fort Bragg in North Carolina, where my father was enlisted in the 82nd airborne infantry, and after moving to Hawaii my family settled in Maryland. After graduating from Dematha Catholic High School, I attended Salisbury University and studied sports journalism and business management. In the spring of 2015 I became a licensed realtor in the state of Maryland and affiliated myself with the Long and Foster brokerage in Annapolis. In January 2016 an opportunity was presented to me to join Christopher Nolan and RE/MAX 100 in Dunkirk. 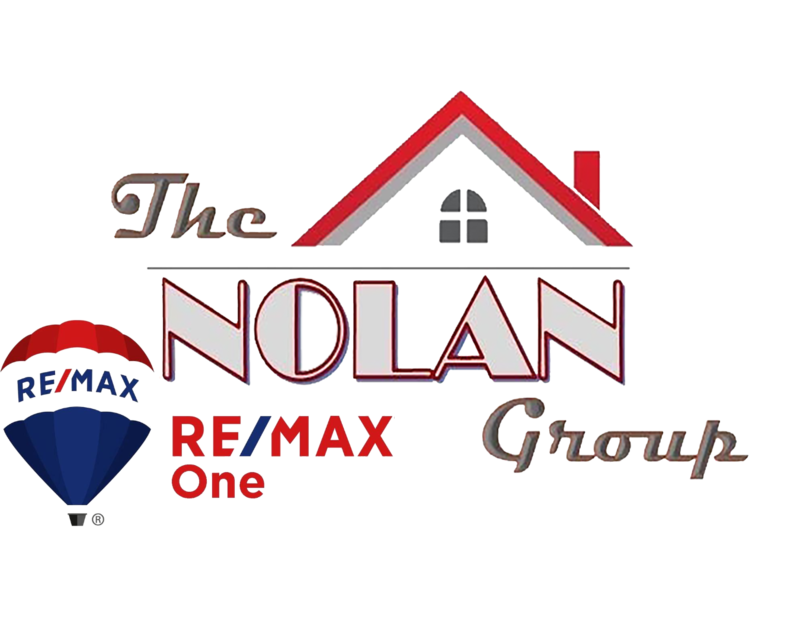 The Nolan Group has given me the opportunity to develop as a professional and build my identity in the field of real estate. I am passionate and willing to go above and beyond in assisting you in your real estate needs. 1-20+ Acre Homesites for you to build your Dream Home! 1-2 Acre Homesites for you to build your Dream Home! A Great Neighborhood with steady home values and 3+ Acre lots! The Nolan Group's mission is to provide the best high-quality customer care with precision, dedication, and loyalty to our customers! We strive to be the best Realty Team in Maryland with the best Agents around! Call The Nolan Group today and see what the value of your home is. Where do I start?? Justin is pretty amazing and very accountable/professional. It was such a pleasure working with him. He really made my family's dreams come true by getting us into our new home. Without Justin and his knowledge I know I would not be where I am right now. Thank you so much Justin for all of your hard work. You really rock! Justin Brown is a friendly and hardworking agent who you can count on to help you find or sell your home. He is professional but has a personality that is hard to find with a lot of agents. Justin is all around a great guy that will not disappoint! Justin is such a great agent! My first home buying experience was a little more challenging than anticipated lol but he stuck through it all with me!!! Chris always takes what he does seriously, although he does it with humor. He will do the best job he can do for you. It's a great pleasure of knowing Chris will provide you with the most genuine and honest professionalism you would, or could want from a person of his helpful nature. Michael Simi displayed true dedication to ensuring our home purchase went as smooth as possible. Mike dedicated a significant amount of time to helping us find the right house and was extremely responsive to all of our requests and demands. Mike was truly a great agent to work with and I fully intend to call him again if we decide to sell and/or buy again in the future. Michael was wonderful. He kept us informed every step of the way and managed every detail of the sale. We felt secure and confident with him and are so happy he was our agent and friend. Mr. Nolan was extremely professional and attentive during our home buying process. He was knowledgeable of the builder and model home(s) that we were interested in. He and his team kept us abreast of the activities associated with our home throughout the entire construction process. Mr. Nolan truly made our home buying experience memorable. I would highly recommend he and his Team's services. We have bought and sold a couple of houses through the Nolan Group and it has always been a smooth transaction! When selling, they are quick to get the property out there and get it sold. Professional and expedient. Ashley Scaggs was my realtor. She listed our first home and helped us purchase our forever home. Ashley Scaggs is awesome. We weren't sure how buying /selling a home would work but she was there to help. She had a sign in our front yard of our selling house the first day with showings immediately following. Our first home had a pending contract within days of being on the market. She finds out what you want and she goes for it and doesn't stop until she finds you the perfect home. She was a pleasure to work with! She made suggestions through out the listing and buying process, and was always ready to assist. Ashley was a true go getter and made all the complicated details work out. She coordinated with the title company and inspectors to make it a painless process. She was patient and showed us many homes before we found one that worked for our large family. As a first time homebuyer, I was incredibly impressed by her real estate knowledge, efficiency of communication, honesty in expressing concerns, and loyalty to my best interests. She is positive, friendly, patient, and professional Realtor. Though my transaction was not a high dollar return for her, she treated me as if I were her only client and I appreciate that! I would high recommend her.